Weekend Directionals, Bandit Signs, Bootleg Signs, Snipe Signs are all names used for the most affordable way of driving traffic to your models for your new homes, apartment community or business. 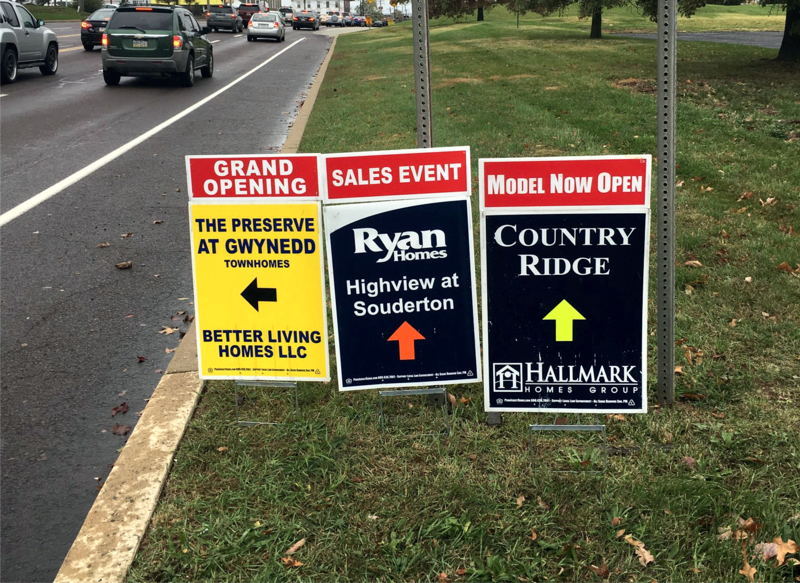 Penn Jersey Signs is the market leader placing over 17,000 signs per weekend in DE, MD, NJ, NY and Eastern PA with our double sided directional signs. To the right is an example of our computerized google map that details out each sign placed for you. 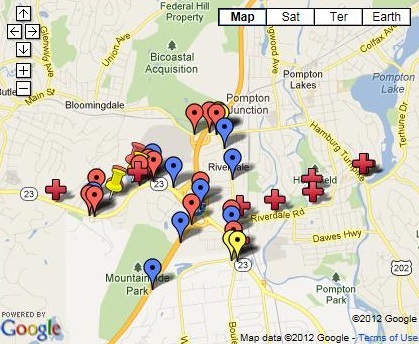 We will work with you to design a google map that directs home buyers right to your doorstep. Our main business is placing open house directional signs for new home builders on weekends. We help you attract site traffic through effective, affordable signage with dynamic designs. The weekend directional signs can help you "snipe" traffic from competitors,and lead them right to your community. We have a large amount of packages available. Many top builders use open house & directional signs on weekends. Our eye catching double sided signs attract drive-by traffic and interested neighbors to your listings. Insist on our double sided signs for double the exposure. The real estate market never sleeps. There are always people searching for new homes, whether on the internet, driving through neighborhood streets, or even using their mobile phones or other mobile devices. Please utilize our expertise at Penn Jersey Signs today, on how we can help you increase business. Insist on double sided signs from PennJersey. No wasted backside, a left arrow has a right on the reverse, a straight has TURN AROUND on back. Traffic coming both ways gets directed towards you. Our weekend directional signs will direct traffic right to your community.